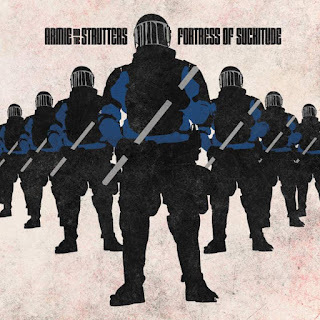 Who is this mysterious Armand Armandollar who not only drops funk joints on us with Pimpstrut Local #13, but also, with The Strutters, delivers a condensed set of smoldering punk tracks on the Fortress Of Suckitude EP? We’re not sure, but we think he’s go a knack for being part of solid musical endeavors. In case you were under the impression that blocSonic is a Hip-Hop label… Armie And The Strutters’ headbutt is a friendly reminder. Enjoy the SUCKITUDE.